Risotto is always something I liked to eat but never cooked myself. Why? Because everyone over-complicates risotto and I thought it was an impossible task that I certainly couldn't achieve. You see, whilst I'll happily make an elaborate cake, when it comes to dinner I like to keep things simple. 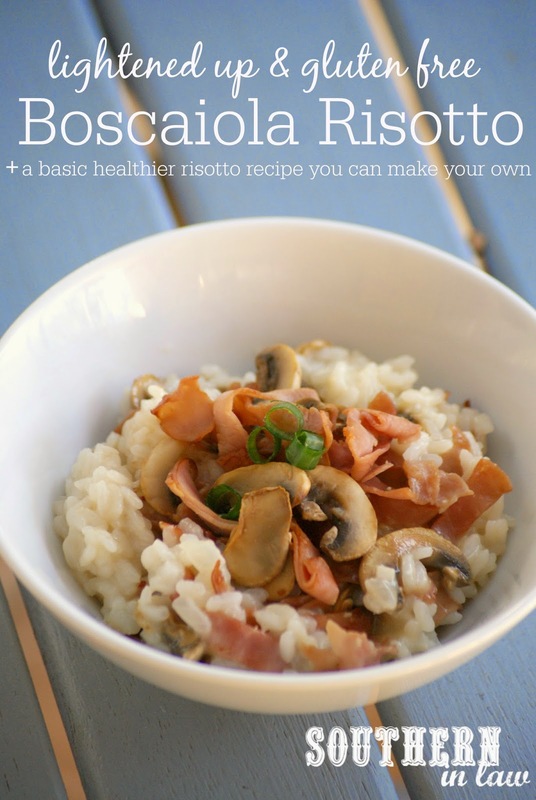 It wasn't until earlier this year that I started experimenting with risotto recipes. The first happened one night when Jesse was working away from home. I was incredibly bored and it was 4pm and I had no idea what to do with myself so I decided to start cooking dinner - only it was too early to cook dinner so I needed to make something complicated and time consuming. So I decided to try out a risotto - only to find myself with a delicious risotto finished before 5pm. Hold up a minute? I thought risotto was supposed to be complicated? Apparently not - and risotto became a regular feature on our dinner table. 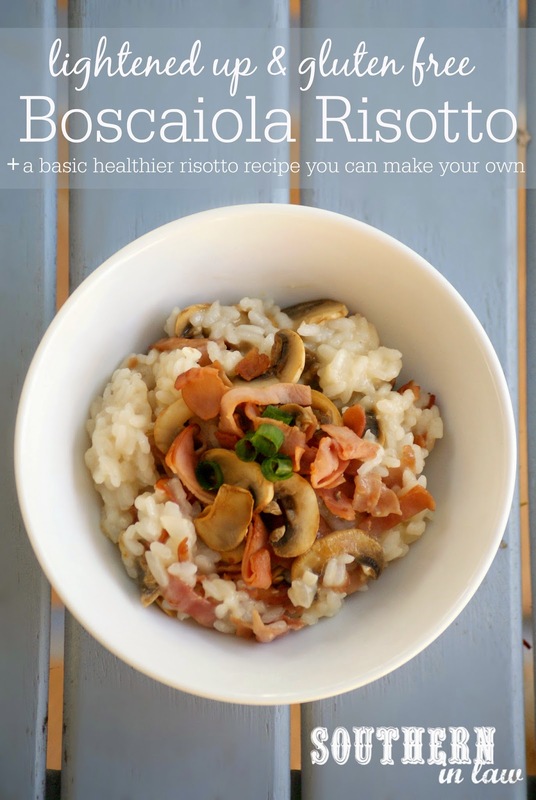 For the last couple of months I've been testing and tweaking and fine tuning my risotto recipe so that I could share the ultimate Healthier Risotto Recipe. That is, a healthy risotto that's lightened up, gluten free and so simple to make. But there's one thing that makes this recipe even simpler - the new addition to the SIL kitchen; our Cuisine Companion. The machine does all the stirring and heating for you and your risotto cooks away whilst you twiddle your fingers (or play games, as is what happens whenever Jesse is in charge of the risotto). The Cuisine Companion comes with a hugeeeee cookbook filled with recipes, however, the risotto recipe in the cookbook calls for almost half a cup of oil and a quarter cup of butter - definitely not what you'd call a healthy recipe. Most risotto recipes generally call for a lot of butter or oil, however, this risotto recipe uses just a single tablespoon of oil whilst tasting incredibly decadent. It's a recipe you'd never guess was healthy or so simple to make and one we keep making week after week after week. 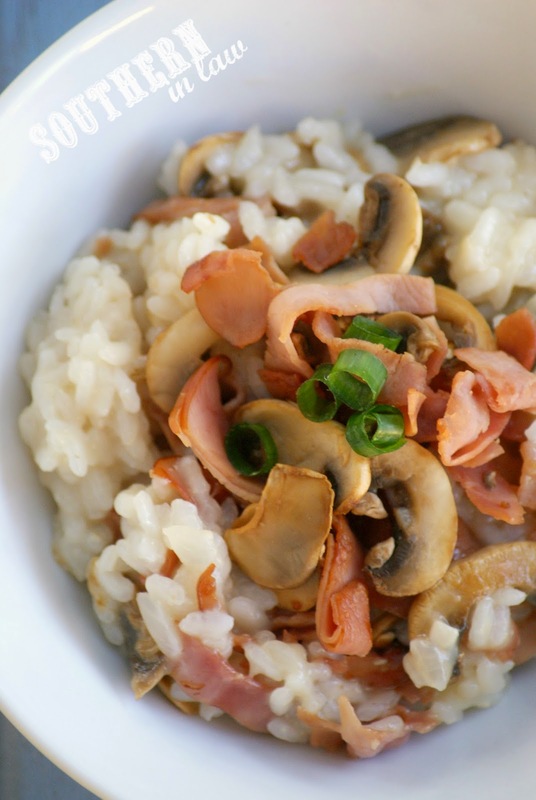 In a non-stick saucepan, saute your ham and mushrooms with your garlic over a medium-high until your mushrooms are browned and your ham is just lightly cooked. If needed, add a couple of drops of water to stop your ingredients sticking to your pan. Season to taste and mix through your spring onions and herbs (if using) before mixing through your risotto or simply adding on top of your risotto. Serve immediately, garnished with additional herbs, cheese or spring onions if desired. But tell me, are you a risotto fan and have you ever made one yourself? What's one recipe you're hesitant to try? I'm always hesitant to try complicated savoury recipes - or really, any recipes that has a million and one steps and uses a million and one dishes (because I'm probably just really lazy :P). One day, however, I really want to try making one of those Adriano Zumbo-esque cakes with a million and one different techniques just so I can say that I've done it. I still need to whip some up...once I have my kitchen at home again! 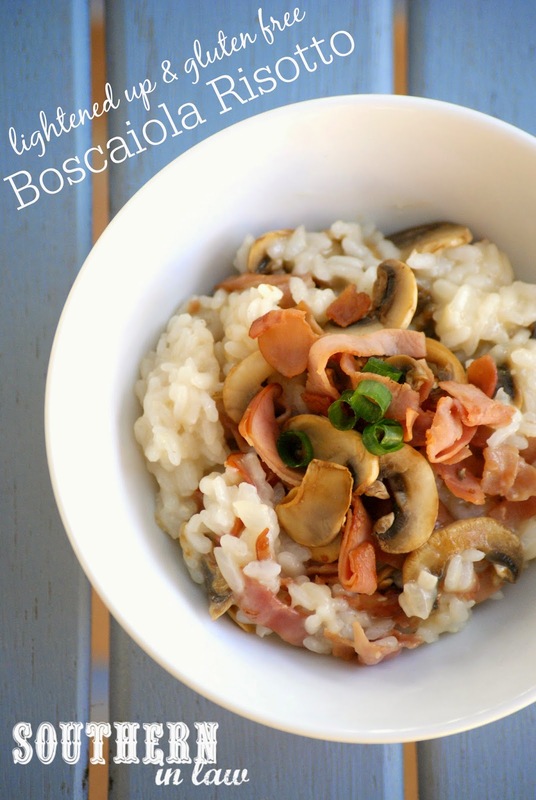 Risotto is one of our faves - it'd definitely be on my list of things to make once I was back to a kitchen!